This modern style villa for sale is located close to the beautiful sandy beach in the Bay of Palamós. 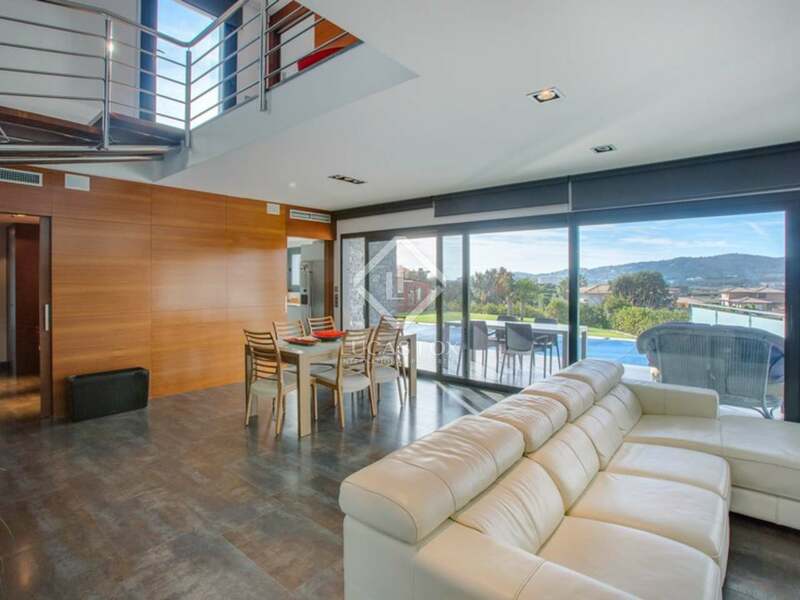 Platja d'Aro with its year round shopping centre and Palamós with its excellent seafood restaurants are situated less than 10km from the property. 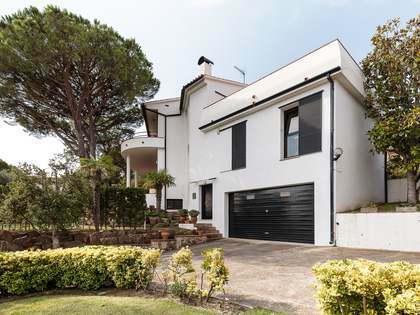 The nearest golf course ,Club Golf d'Aro in Platja d'Aro, can be reached in a 15 minute drive. 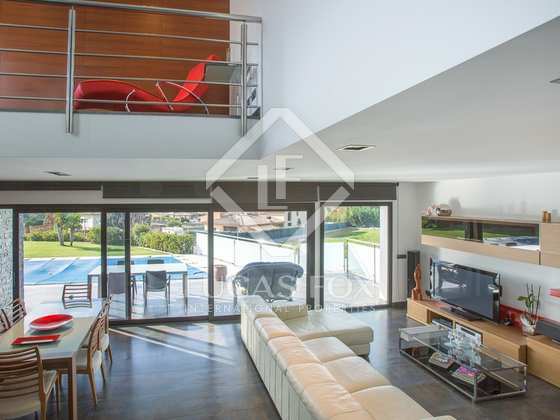 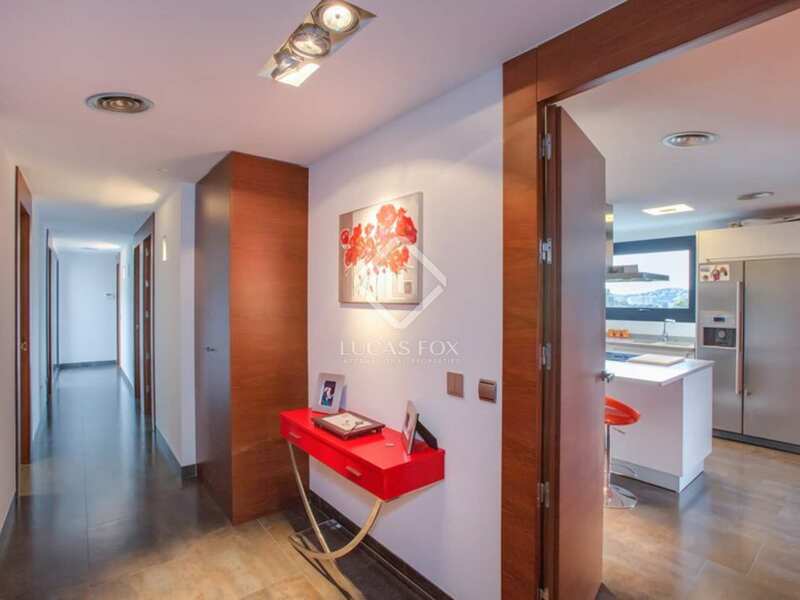 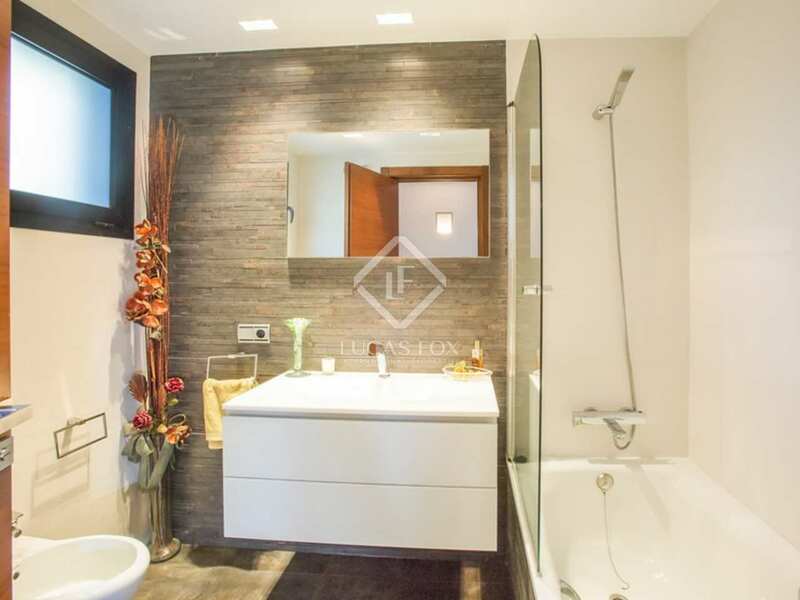 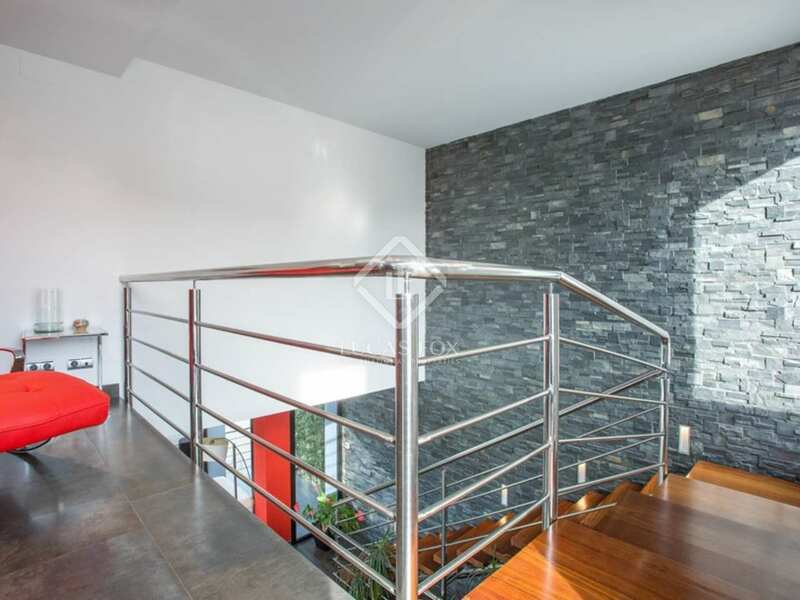 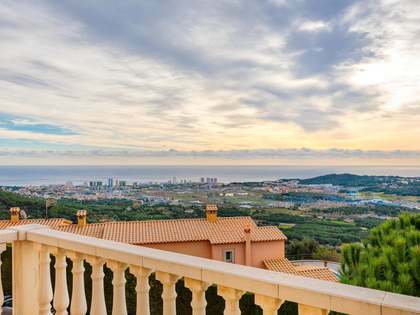 Built in 2007 with luxury finishes the south facing property measures 326m² and is set on a plot of 1.000m². 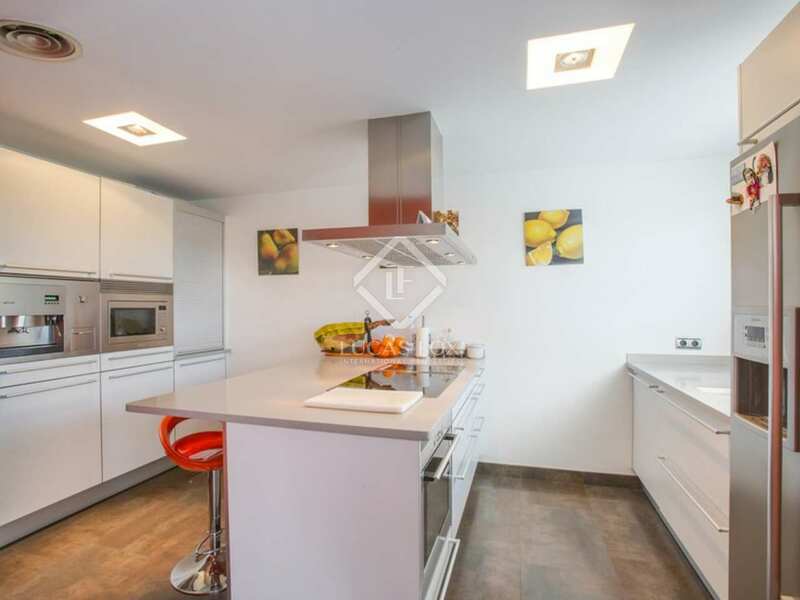 It is distributed over 3 levels and offers 4 bedrooms (2 ensuite and all with access to the garden) and a bright and spacious living room with access to a fantastic terrace and a small, low maintenance garden featuring a 13.5m x 3.5m heated swimming pool. 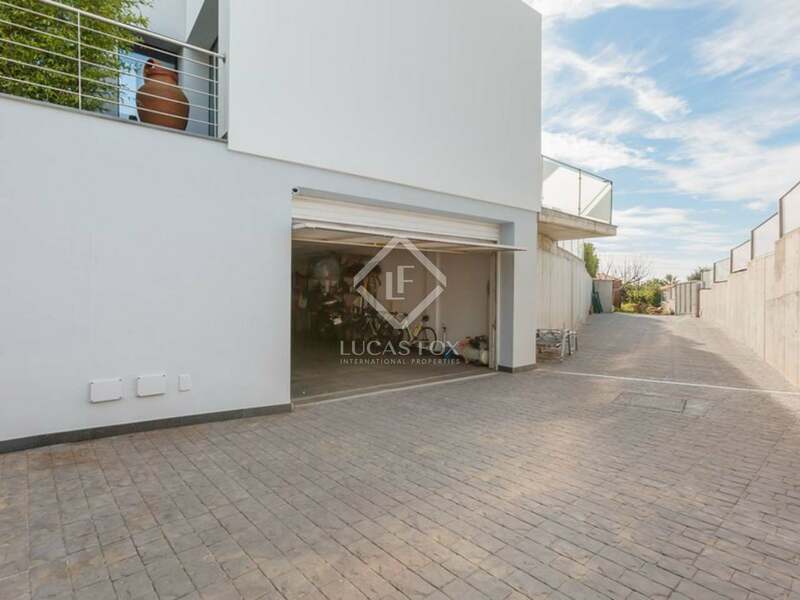 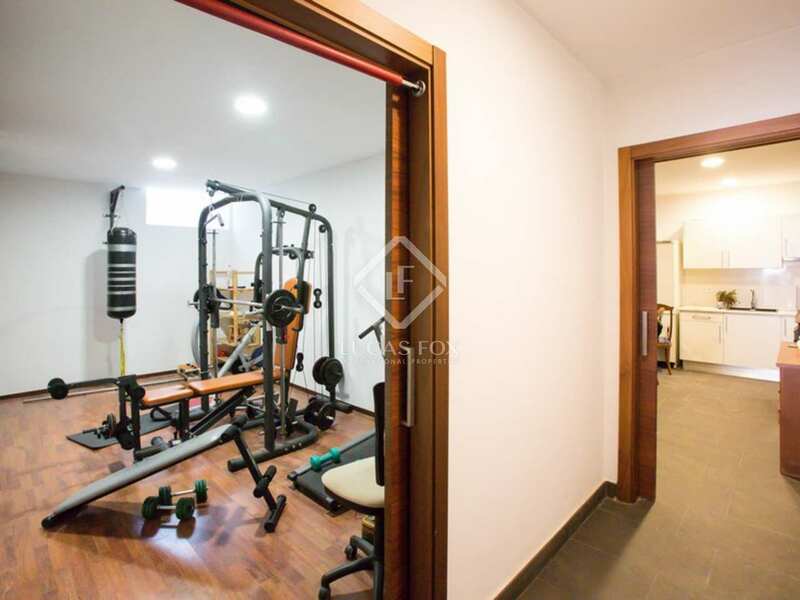 Next to the spacious garage (capacity 2 cars) and located beneath the main living area there is a separate guest apartment with a bathroom and kitchen. 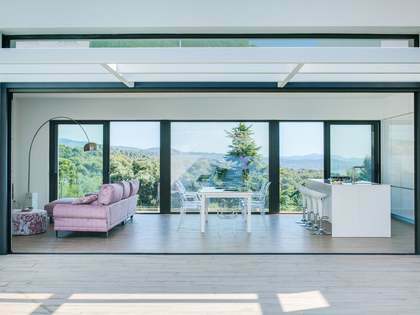 The house is equipped with mains gas underfloor heating, solar panels for hot water provision and a centralised vacuum system. 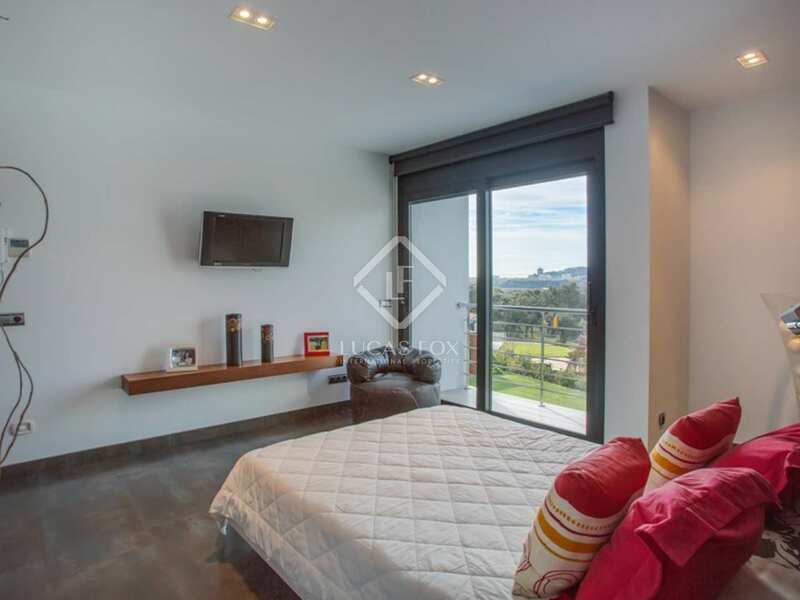 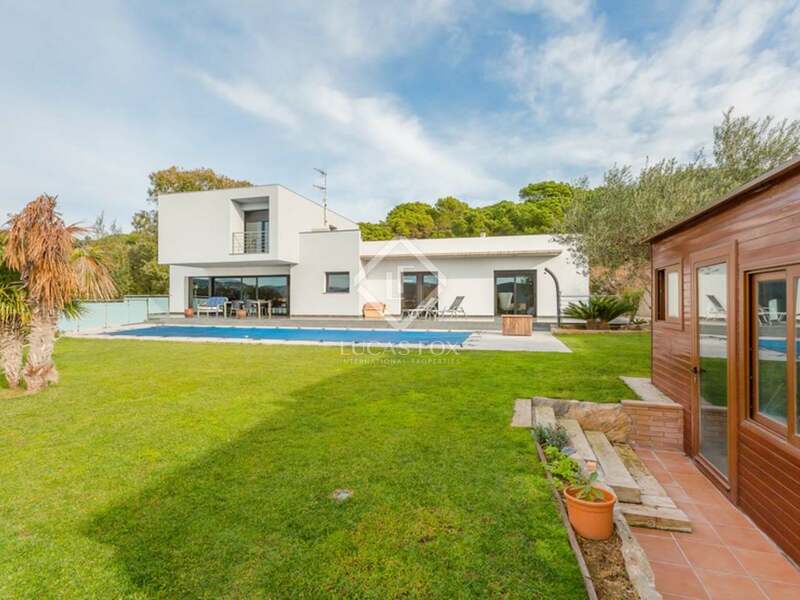 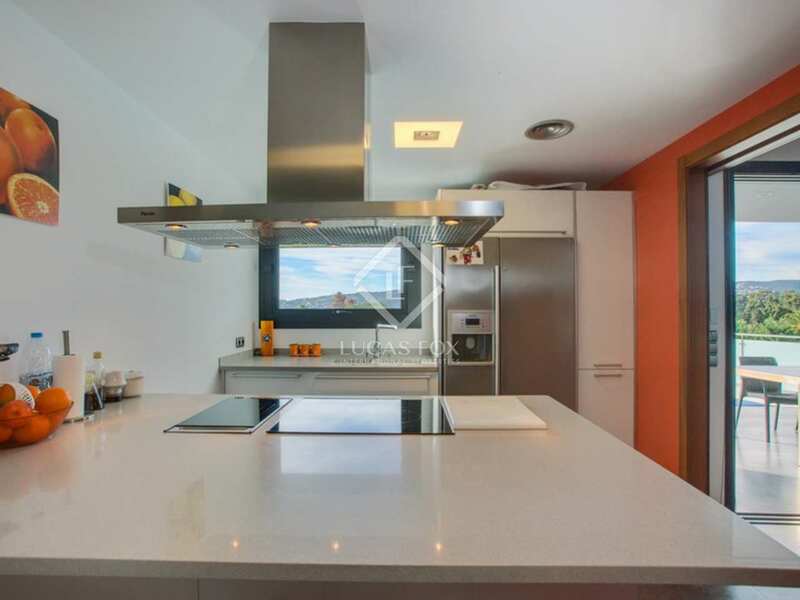 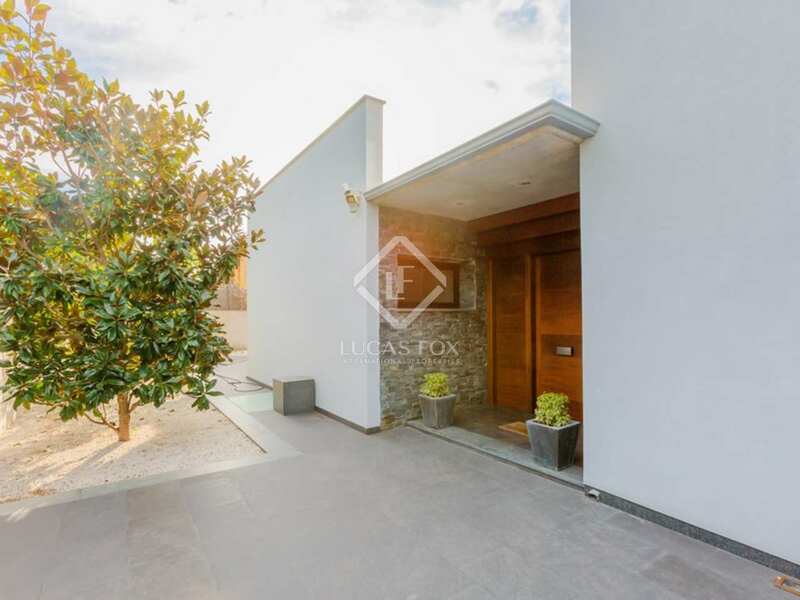 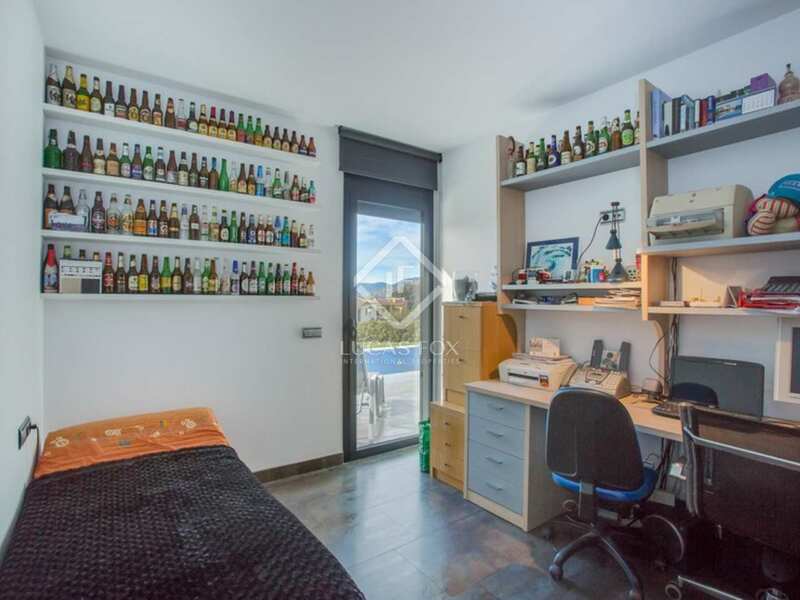 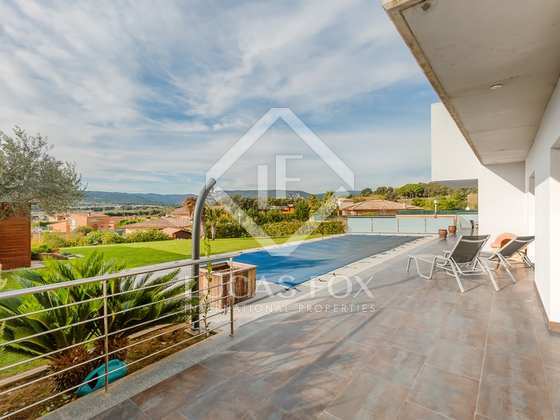 This modern design property for sale is located in the quiet urbanisation of Sant Daniel in Calonge, only a few minutes' drive from the beaches of the Bay of Palamós. 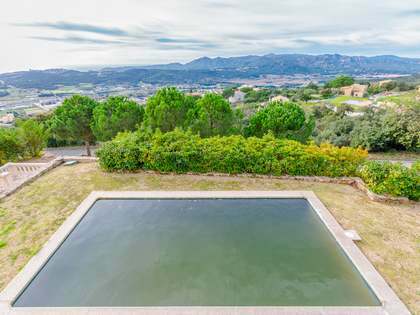 Calonge is located in the central area of the Costa Brava and is near some of the region's most beautiful coves and bays, including Tamariu, Llafranc, Calella de Palafrugell and Platja de Sant Pol and Sa Conca in the prestigious S'Agaró. 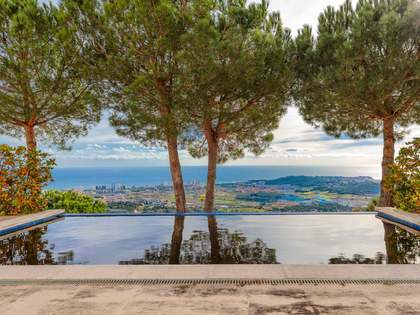 The area enjoys excellent access and is within a 1 hour 30 minute drive of three international airports: Barcelona (125km), Girona (40km) and Perpignan (130km). The property is close to one of Catalunya's finest golf courses, Club Gold d'Aro.